As we creep closer to December 18, and after all the hoopla of Comic-Con, I wonder if all Star Wars fans feel like I do—both thrilled and really, really apprehensive. 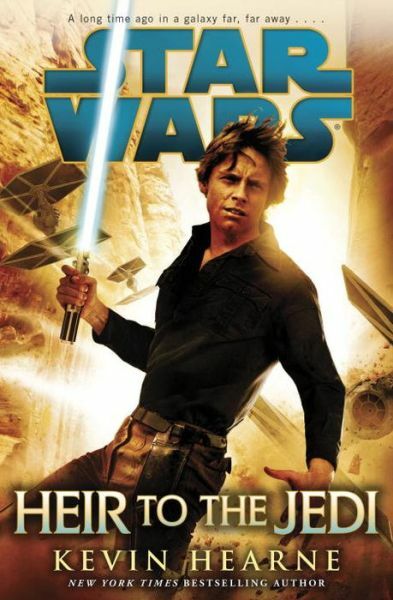 If you’re a fan, you’ve proceeded from Return of the Jedi in one of two ways: you assumed the Empire was defeated and our heroes lived happily ever after, or you’ve followed the Extended Universe (now known as Star Wars Legends) and have come to love Mara Jade, Jaina Solo, and Ben Skywalker. Either way, your picture of life after Jedi is about to change. Is that good or bad? Only time will tell. I think this is longest excerpt in the sampler…the beginning of Star Wars from Leia’s point of view. The dialogue is word-for-word from the film, but all Leia’s thoughts are a very nice addition. We get a little background on Leia that I had never read before, so I’m not sure if it’s new canon or just something I missed in comics. Leia has mostly been raised by her two aunts to be a proper queen when the time comes. (Her adopted mother’s sisters?) They’ve taught her to curtsy properly and give speeches. But what Leia has really wanted is to follow her father into the senate, and then the rebellion. Helping in the theft of the Death Star plans is her first lone mission, and she’s making a mess of it. Will she be able to get away from Darth Vader and get the plans to her father? This one is a little strange. Some of it is told in the second person, like Luke is giving instructions on being a Jedi and escaping the Wampa. It reads a little like a “choose your own adventure” book. (Am I showing my age with that reference?) And then there are summaries of the action going on that Luke doesn’t see. 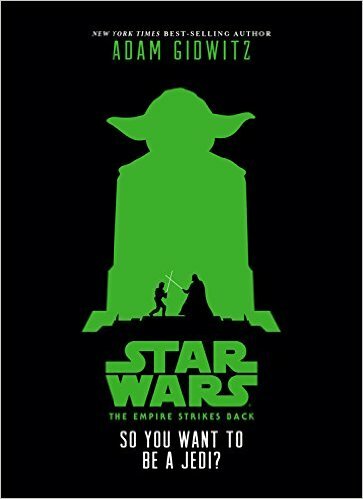 This one will be the hardest sell for me since The Empire Strikes Back is my favorite movie of all time. 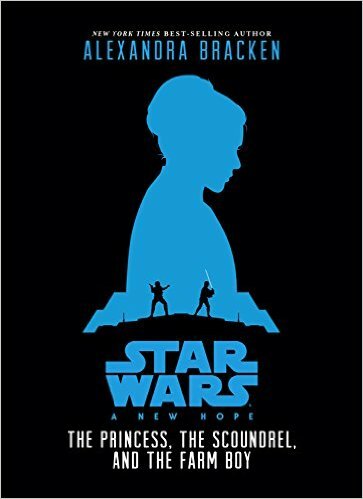 I’m immediately miffed that we’re told we won’t see “the mushy stuff” of Han and Leia’s love story, but totally understandable in a YA novelization. I’m also amused by the summary of their relationship: they “kind of love each other and kind of hate each other.” Yeah, that’s about right. So, I found this one a little weird but interesting. I’d have to read a few more chapters to know if I really like the style. It probably will attract younger readers, though. 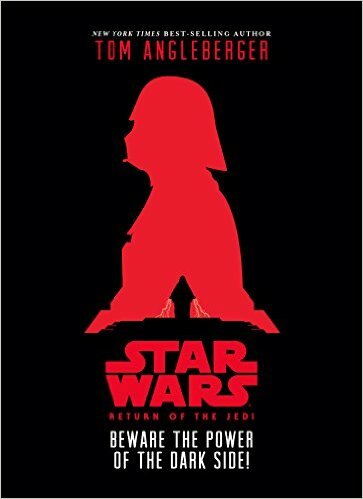 This one seemed to be a fairly straightforward retelling of Return of the Jedi, starting with the droids’ journey to Jabba’s palace. There’s a bit of humor to make the boring trek across the sand seem…even more boring. There’s also a quick intro to Jabba and his favorite prize, Han Solo frozen in carbonite. I appreciate the humor in the sample chapters for this one, so I’d be interested in checking it out. BOTTOM LINE: I’m most intrigued by The Princess, The Scoundrel, and the Farm Boy; least hooked by So You Want to Be a Jedi? but overall, I’d be interested in checking out all three. May the Force be with us…always. ON SALE DATE: All three will be available September 22, 2015, in hardcover and eformats. THE PLOT: After the destruction of the (first) Death Star, Luke is sent on a mission to extract a cryptographer from Imperial control. He’s got the use of a ship belonging to a new Rebel sympathizer named Nakari Kelen, but first they need some upgrades. Money is scarce, so they do a job for Nakari’s father, who owns Kelen Biolabs. The cryptographer, Drusil, who speaks mostly in math, is desperate to be reunited safely with her family. In between dodging Imperials and bounty hunters, Luke makes some time for romance with Nakari and dabbling with control of the Force. MY TWO CENTS: Like the official books in the “Empire and Rebellion” series, other standard Star Wars characters are scarce. You’ve got Luke and R2D2, and a couple of cameos by Leia and Admiral Ackbar. Han is completely absent, although mentioned. The book is told entirely in first person from Luke’s point of view, which both works and doesn’t work. What works? It helps us get into Luke’s mind as he begins to try to figure out what a Jedi can and can’t do. It also helps in those awkward moments where Luke acts like a naive farm boy. When doesn’t it work? Well, for one thing, Luke overall comes across as more sophisticated and verbose in his thoughts than you’d expect him to at this point. He hasn’t been off Tatooine that long. He seems remarkably well-spoken in is own thoughts; less so when talking to Nakari. Another thing that seemed off: the romance with Nakari. I don’t know if there was just waaaay too much “ick” factor or if Disney just doesn’t want to go there, but…shouldn’t Luke be pretty infatuated with Leia at this point, between Star Wars and The Empire Strikes Back? There is a scene where he explains his feelings to Nakari, stating that although he’s interested in the Princess, she’s just out of his league. I’m not sure I buy that, since they’re at least best friends by Empire. It seems odd, off, but convenient. What I loved most about this book was the part with the Skullborers. These are the type of aliens you don’t run into too often in the Star Wars universe…kind of like Alien aliens, absolutely terrifying. Despite knowing that Luke is going to live through it, there’s a lot of tension. Kudos to the author for that! Unfortunately, the Skullborers come fairly early on in the book, so the following games of hide-and-seek with the Empire seem less fun and a little dragged out. BOTTOM LINE: An interesting read; worth it for the Skullborers scenes alone, but not my favorite Star Wars novel. I didn’t get invested in Nakari as much as I wanted to. It stayed pretty safe in not giving any additional info about Leia, Han, or even Ackbar in the new approved timeline. TEACUP RATING: About three-and-a-half out of five teacups. ON SALE DATE: Will be released March 3, 2015, in hardcover and ebook formats.